The Advance 7765 has enough power to handle even the roughest jobs in any industrial environment. 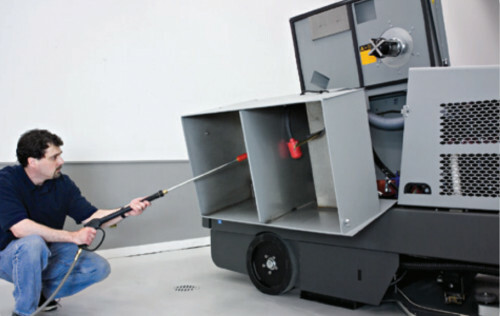 It picks up lose debris, scrubs away dirt and grease, then picks up the solution that its put down. This leaves a clean, dry, safe floor. Its able to provide such a powerful, forceful clean due to its 600 lbs. of down scrub brush pressure, its entirely hydraulic operation, and it’s Accu-Track™ squeegee. 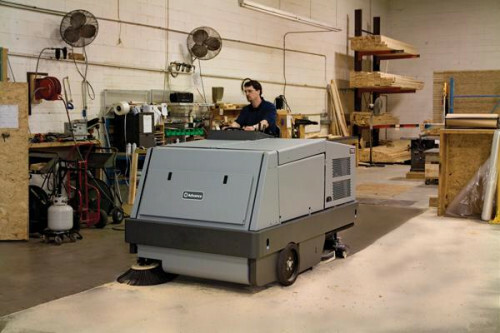 It is powered by 74hp gas or LP both which satisfy EPA emission requirements. 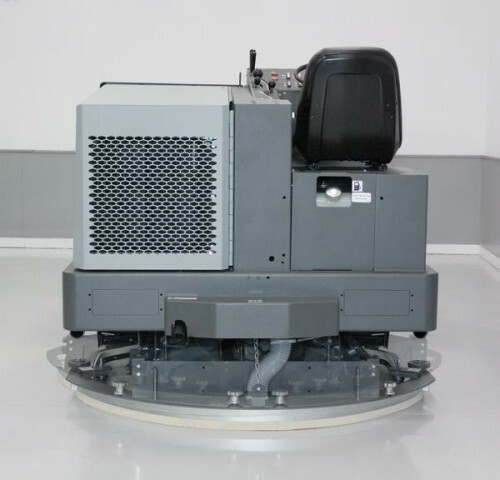 The 7765 has a 100-gallon solution and recovery tanks, 54-inch scrubbing path, 60 inch sweeping path, 16 ft3 debris hopper, 107 ft2 dust filter, and an automatic dust shaker. The recovery tank leans out making draining, refilling, and cleaning quick and easy. 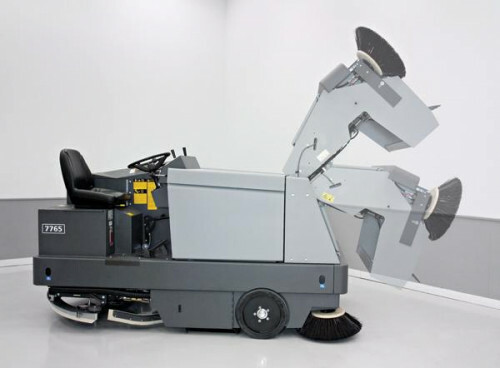 For the best clean possible the machine has a separate sweeping system, allowing it to pick up debris prior to sweeping. The 7765 gives an aggressive, powerful clean that is perfect for automotive plants, food warehouses, and manufacturing plants. The 7765 hopper can be raised, making it easy to dump debris directly into a waste receptacle while the operator remains seated. The hopper assembly can hold 16 cubic feet of collected debris. The recovery tank on the 7765 holds 100 gallons of water and can also tip out to make it easier to drain and rinse. The squeegee assembly on the 7765 provides superior water pick up and the system tracks very well in tight turns leaving no water behind.